For most people, a home is likely to be the biggest financial commitment they will ever make and there are so many confusing options available – do you go for the low interest rate or low fees? Fixed or Tracker? Traditional of Offset? An initial headline rate may be low, but the addition of application fees, product fees, conditional insurance, lock-in periods and a whole host of other variables may make that initial rate seem less attractive. By speaking with us you ensure that your mortgage product is the most suitable for your needs and circumstances. Jigsaw Financial Planning is not tied to any lender, which means we can give you unbiased recommendation and work in your best interests to establish the most appropriate product and lender for you. We then offer to review your mortgage product throughout the term, considering all available options until the debt becomes £0. So whether you are a first time buyer, re-mortgaging, moving home, investing in a buy-to-let or let-to-buy property, building your own home or looking to release equity, you can be sure that we have all the tools you need to make the process as easy as possible for you. Equity loans where the government lends first-time buyers and existing homeowners money towards a newly built home. You put down 5% and the government puts down 20% so you borrow the final 75% on a mortgage. As you are in effect bringing 25% deposit to the table, your mortgage rate is a lot more competitive than with a lower deposit. Mortgage guarantee where the government promises your lender that it will cover part of any losses they may sustain as a result of the mortgage not being repaid. This is available for new and old properties across the UK and means that you only need a 5% deposit. 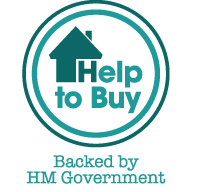 We can help you find out how the Help to Buy scheme works and how to qualify.